School Tours School Expeditions with Ian Taylor Trekking give your students the chance to learn from adventure, calculated risk and stepping outside their comfort zone. We can help develop a program what will be life changing. We have exciting school tours and school expeditions, for student’s interested in adventures around the world. We have extensive experience in running trips in Ireland, Nepal and Africa. We can take you on a real safari, climb mountains and experience world cultures and all for a good cause. We organize everything to make sure your school expedition helps each student’s personal development and leaves a lasting impression on them. Helping poor communities is our goal when exploring and learning in these unique locations. We run school programs to Uganda visiting the Gorilla’s in their natural environment,Climb Mt. Elgon, visit the source of the Nile and visit the Mt. Everest primary school, and learn about local cultures, the people and stand on the Equator. We run school programs to Nepal, we take a short trek to See Mt. 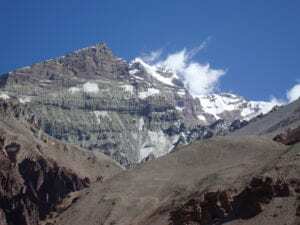 Everest, Visit local villages and learn about the Sherpa and Nepalese cultures and help in the village of Goli which was severely damaged by recent earthquakes. We can go rafting, learn to climb and visit local schools and cultural sites in the world’s largest mountain range. We run school programs to Ireland, we will be based on the west coast, visit historical sites 5,000 years old, go surfing, hiking, visit Irish speaking regions of Ireland, Visit the Cliffs of Moher. We listen to traditional Irish music and experience a serene beauty of Ireland. We run school programs to Tanzania, we will visit Kilimanjaro and climb up across the base of the mountain and get close up to see this amazing wonder of the world, we will visit, local school projects, see animals in their natural environment, along with some cultural dancing and try to understand the local tribes of Kilimanjaro.